Northwest National Real Estate: Sold! Impressive Mountain Views! 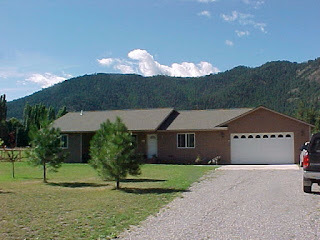 Home for sale in Superior, Montana newly built in 2007. This house has a nice open floor plan, upgraded cabinets in the kitchen, dining area and spacious bedrooms. Double attached garage, large fenced back yard with fruit trees, garden spot and a nice patio. Enjoy fishing on the nearby Clark Fork River, horseback ride or hike in the thousands of acres of National Forest. Call George Spangler at 406-822-4415 for more information, $162,000.